A sigh of relief news came today just few days ago of Festival of Lights as all seventeen cases of the NS1 positive patient blood sample sent for ELISA test by Kalimpong Sub Division Hospital to Siliguri District Hospital came negative. SDMO A Simlangdi told “On 23rd we had sent a total of 17 antigen patients positive cases for confirmatory Elisa Test has come negative. He informed out of 17 cases 11 cases were from Kalimpong Hospital and rests 6 were from Seva sadan nurshing home. He said earlier 3 cases which were sent too came negative. Kalimpong environment became tense after news of antigen positive patients came positive during the 3rd week of October. Meanwhile one more patient with case of antigen positive is currently admitted at Kalimpong Hospital informed SDMO A Simlangdi. 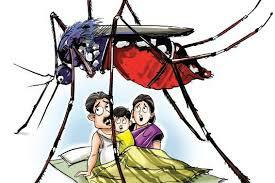 0 Respones to "No dengue patient in Kalimpong , all cases negative"